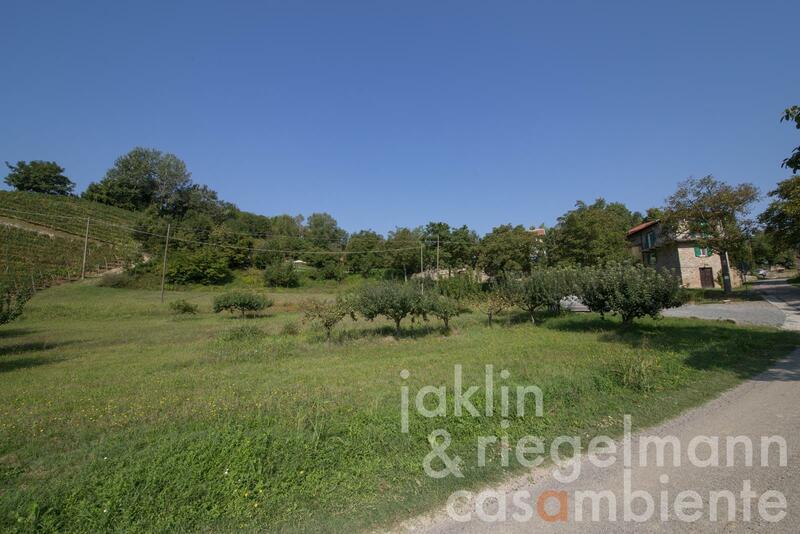 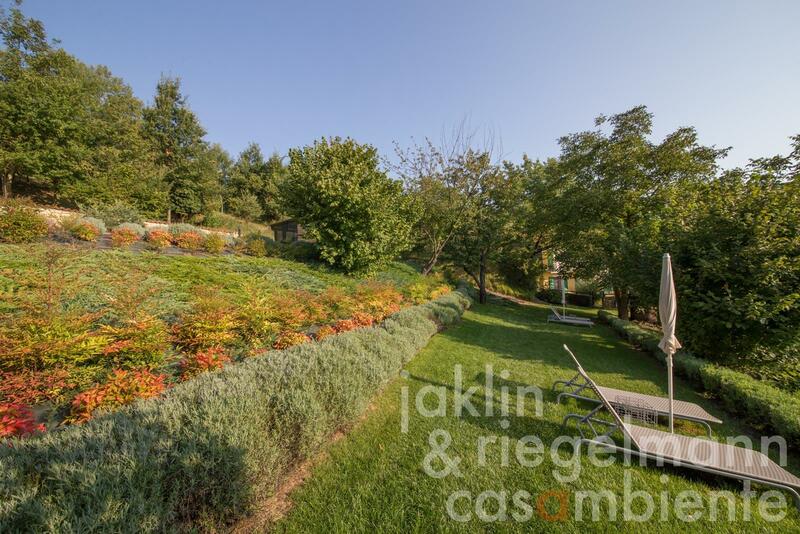 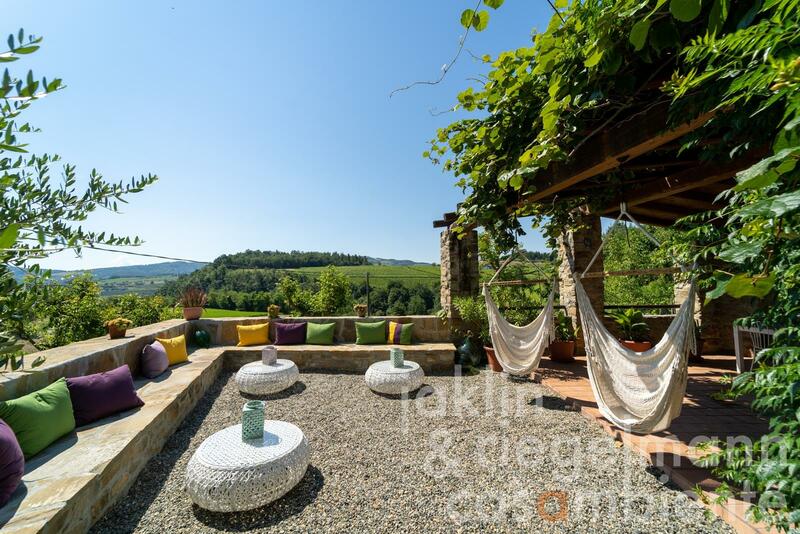 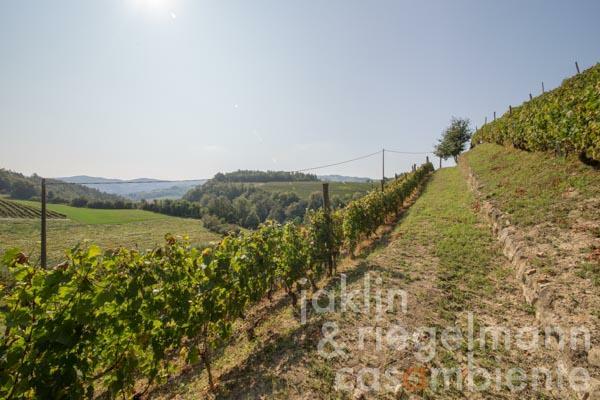 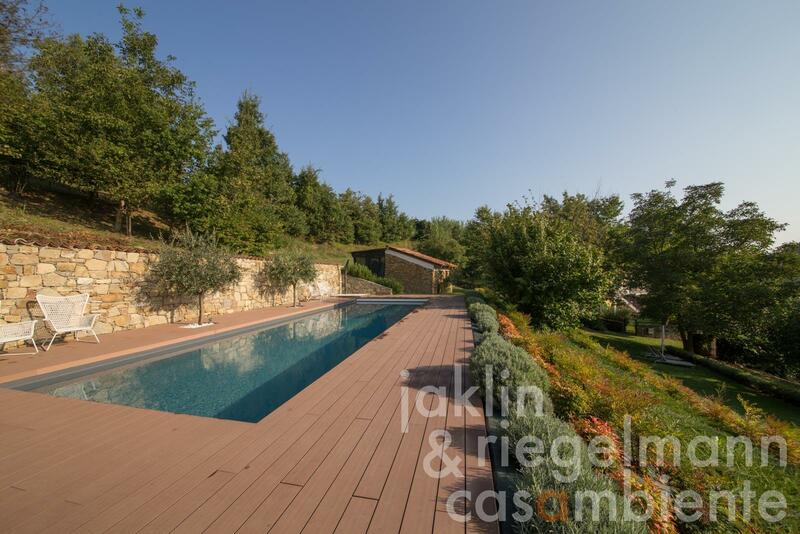 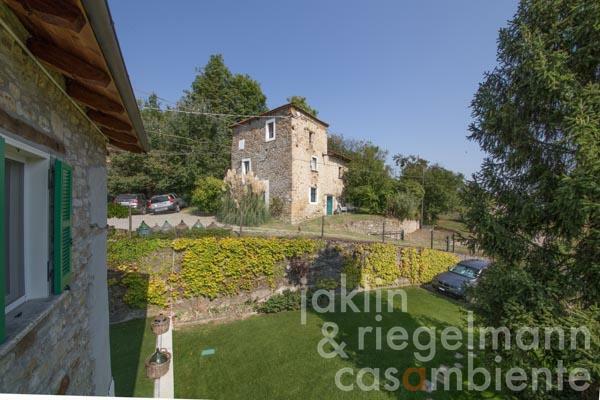 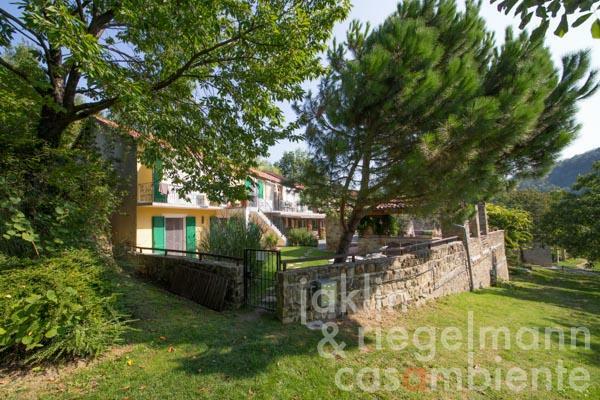 The estate for sale with several buildings and vineyard is beautifully situated in Monferrato in southern Piedmont not far from the Ligurian Mediterranean coast. 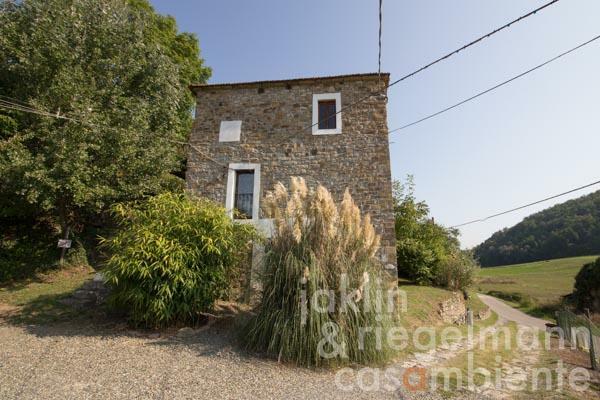 The farmhouses are part of a small borgo and are surrounded by vineyards, fruit trees, hazelnut plantations, woods and meadows. The estate is currently successfully run as an agriturismo and is an ideal location for excursions to the surrounding towns of Alba, Asti and Acqui Terme and cities such as Turin, Milan and Genoa, as well as to the numerous attractions of Piedmont. 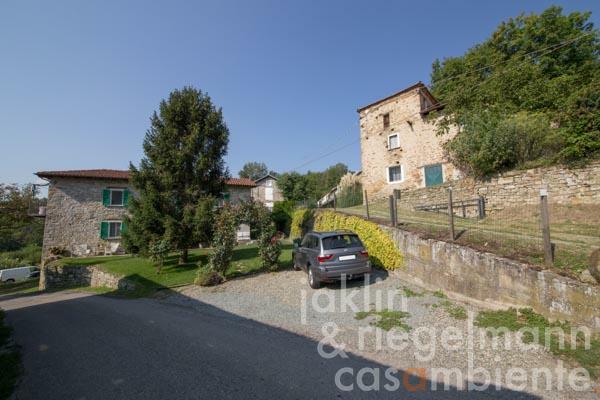 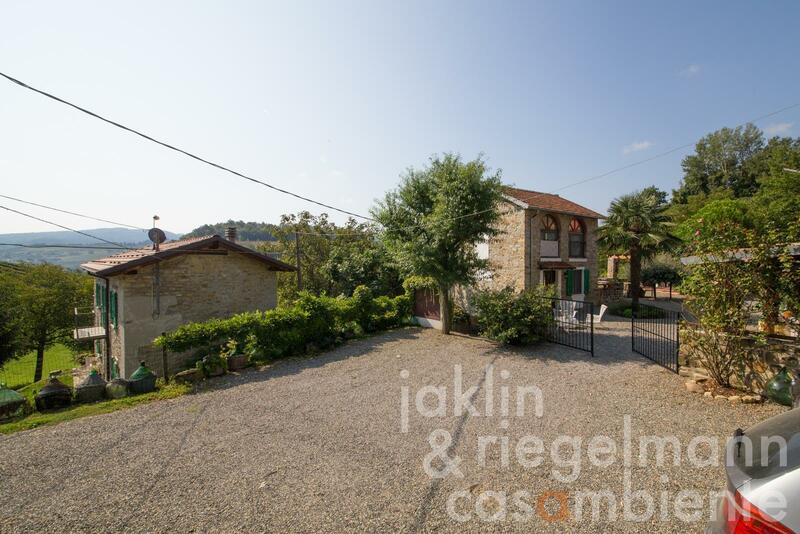 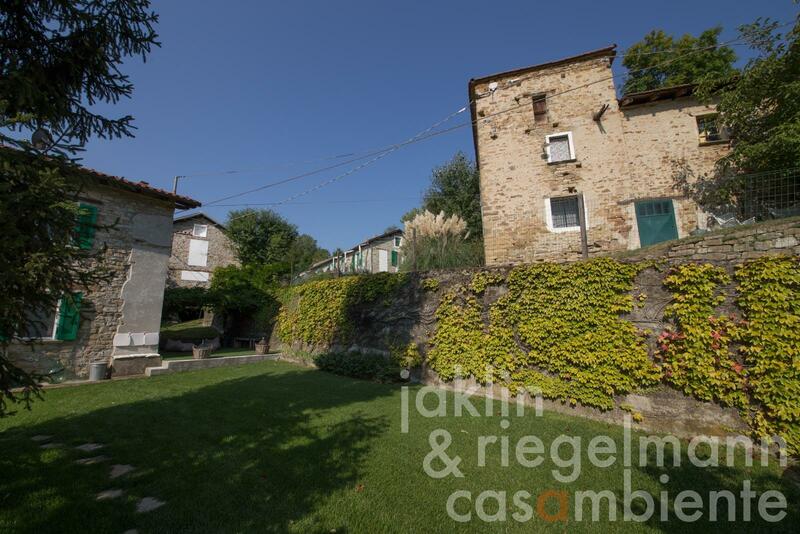 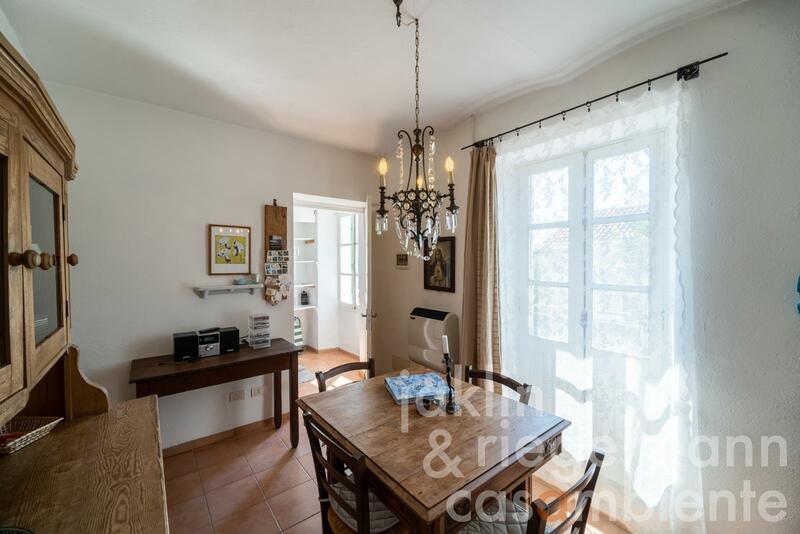 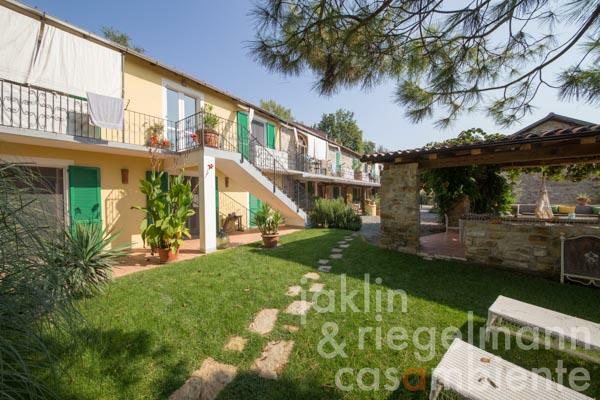 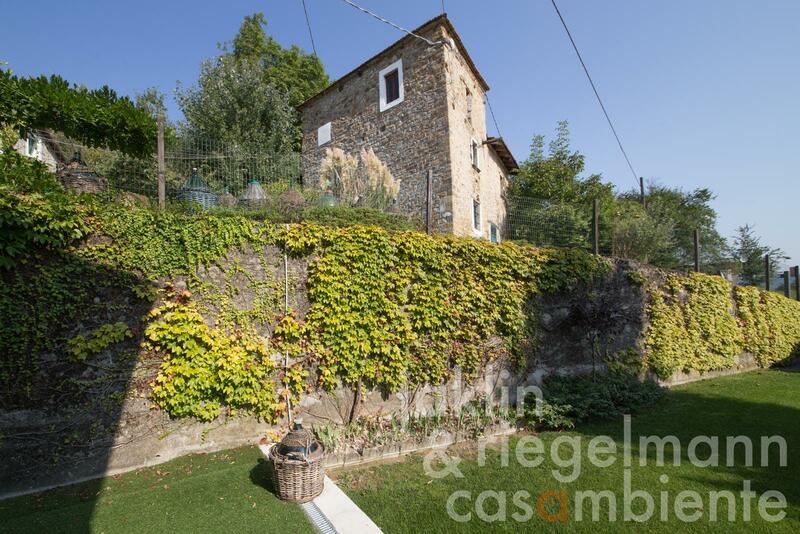 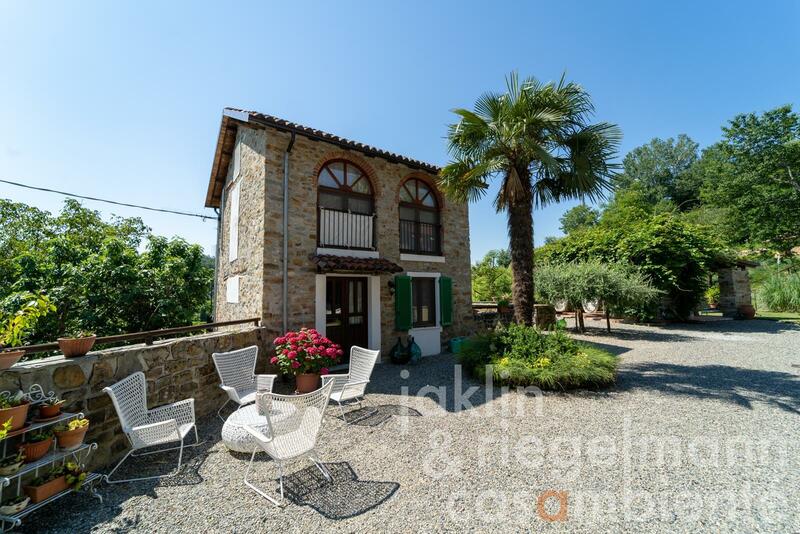 The property consists of a main house with a large terrace, a small stone cottage with balcony, another residential building and a tower-like outbuilding, which can be converted into further living space. 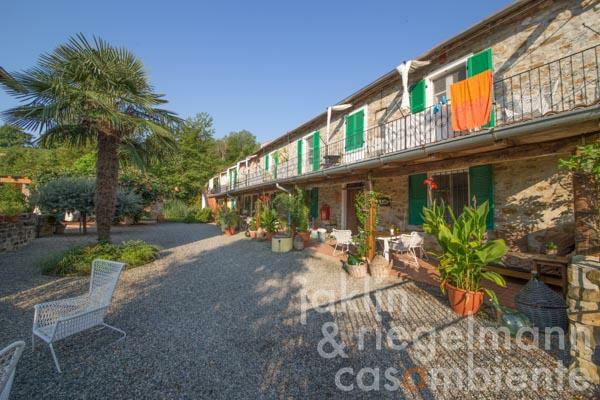 All housing units have a balcony or terraces in front. 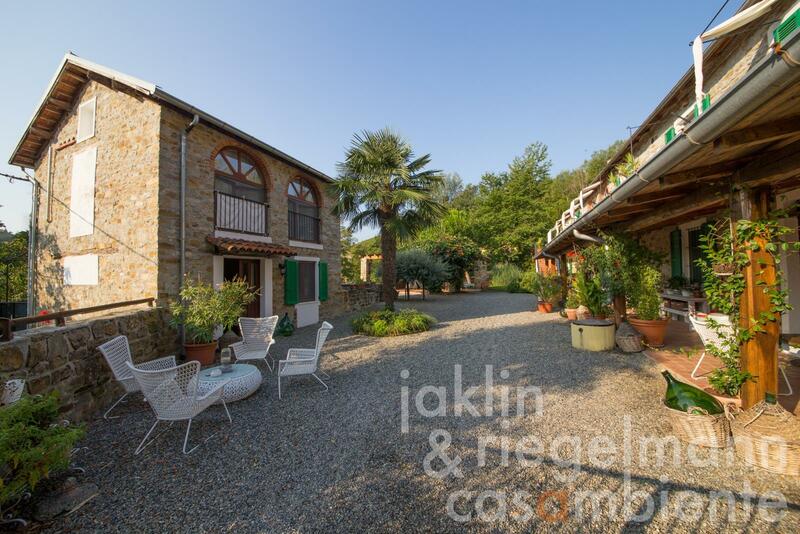 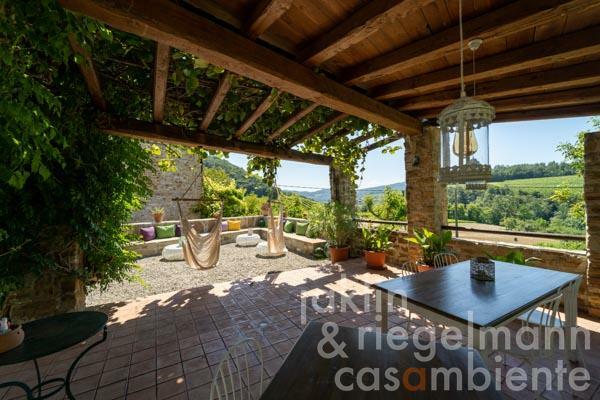 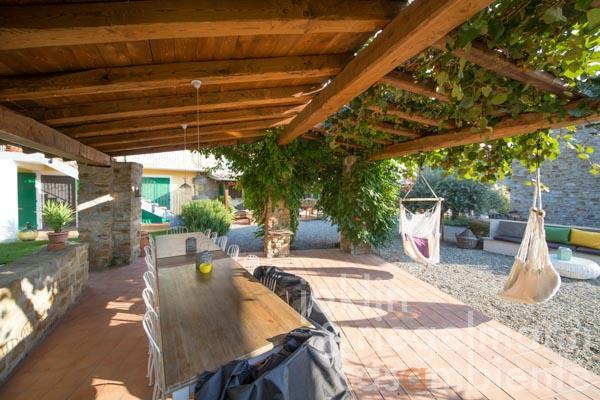 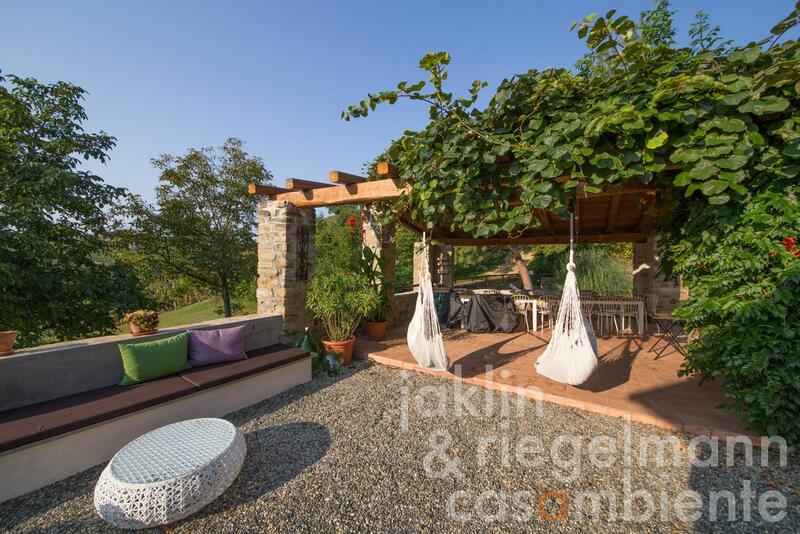 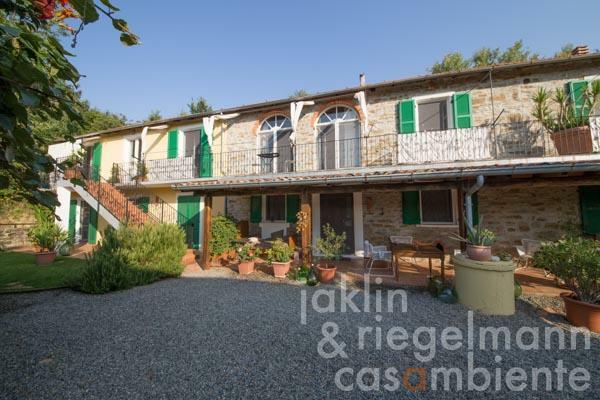 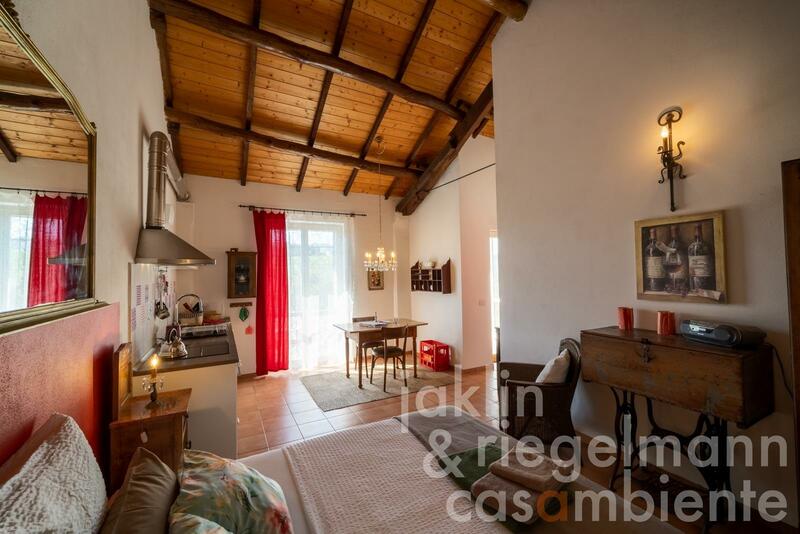 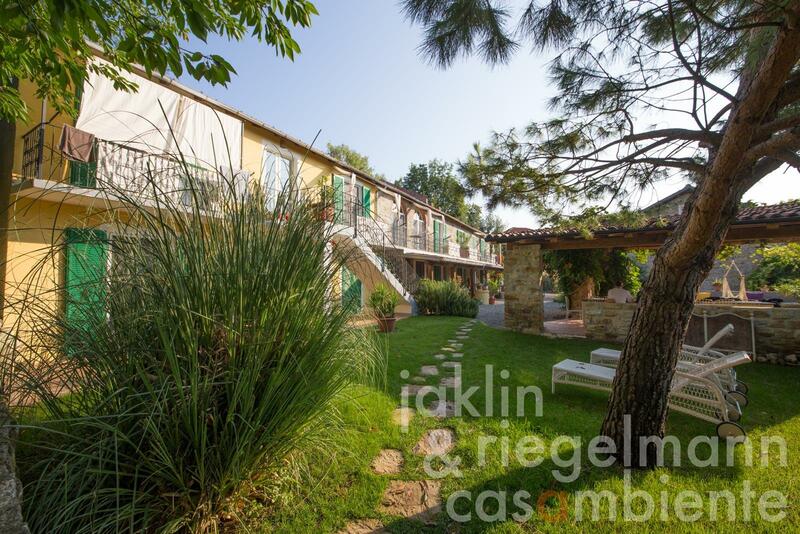 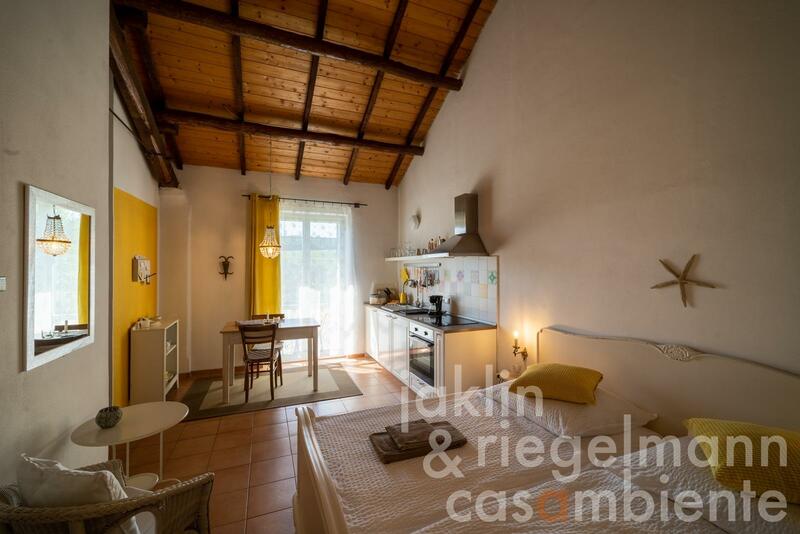 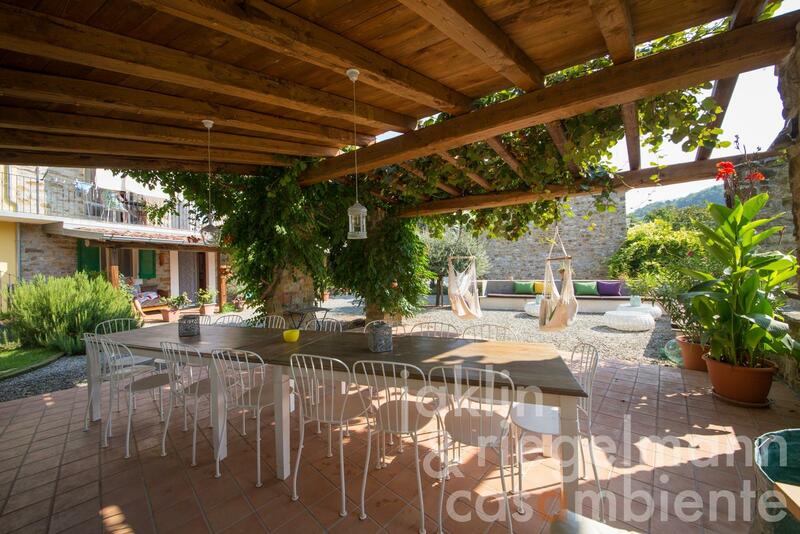 In addition, there is a large loggia (100 m²) with magnificent views to the south of the uncontaminated landscape. On the ground floor of the main house there is an apartment with approx. 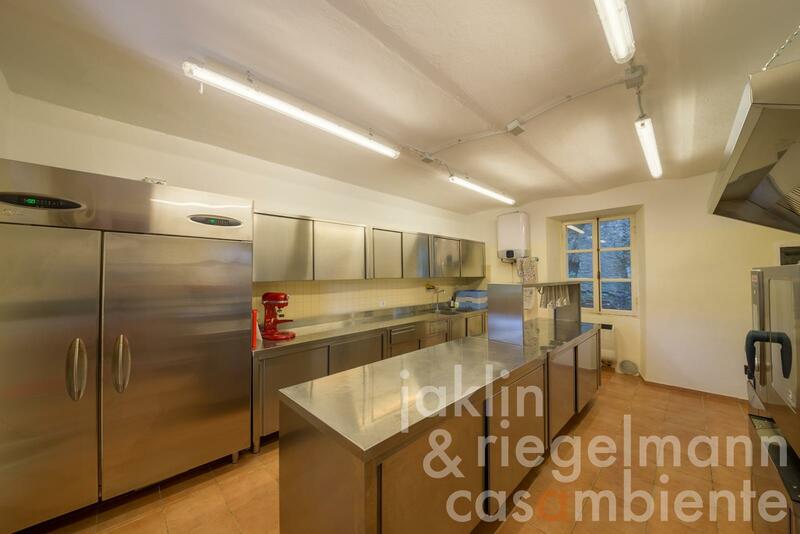 50 m², a seminar room (approx. 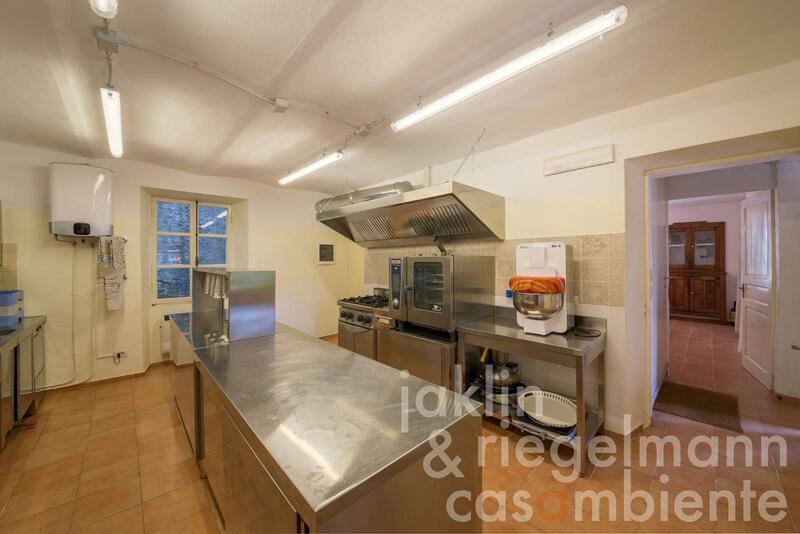 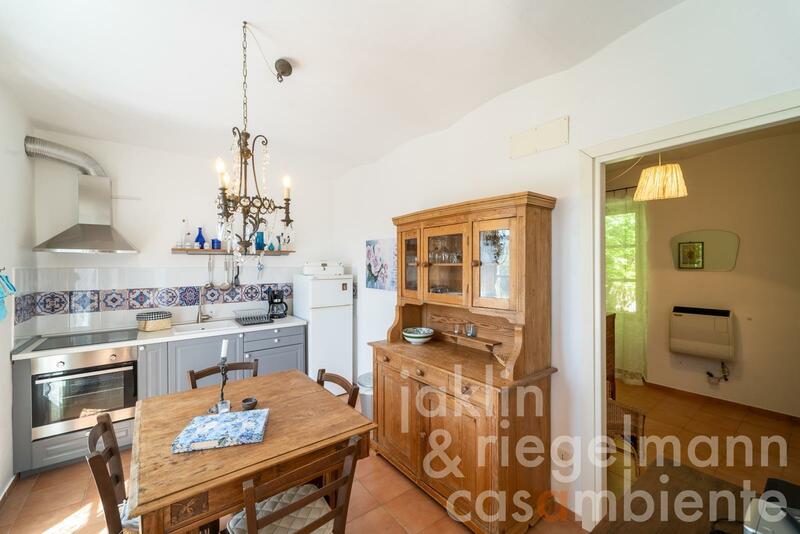 45 m²), a fully equipped kitchen (approx. 20 m²) and a dining room (approx. 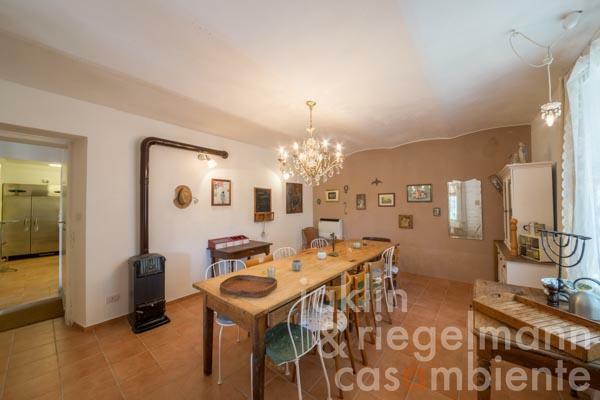 20 m²). 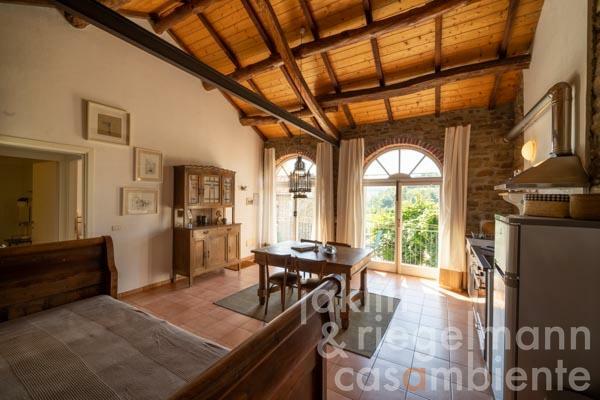 The upper floor of the main house with a long balcony is divided into two one-room studios of approx. 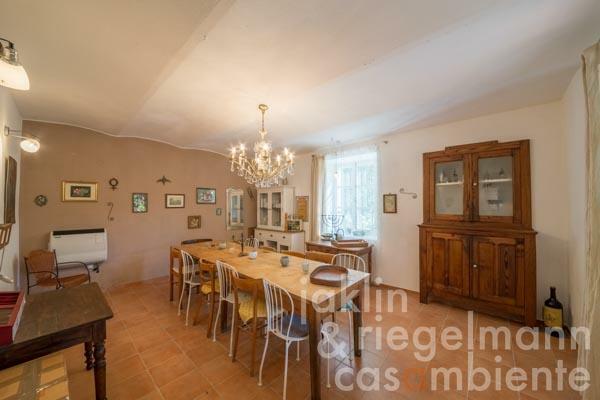 30 m² each (for max. 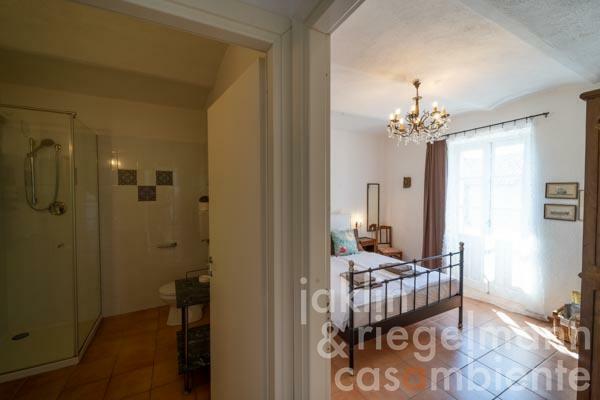 2 persons) and two apartments of approx. 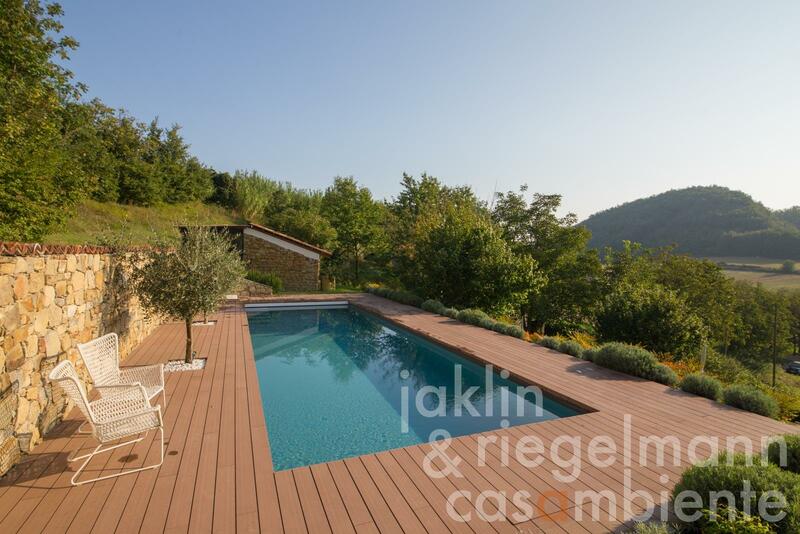 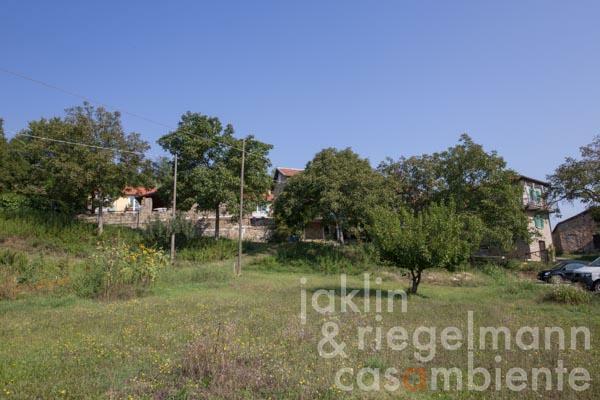 50 m² each (for 2, 3 or 4 persons). 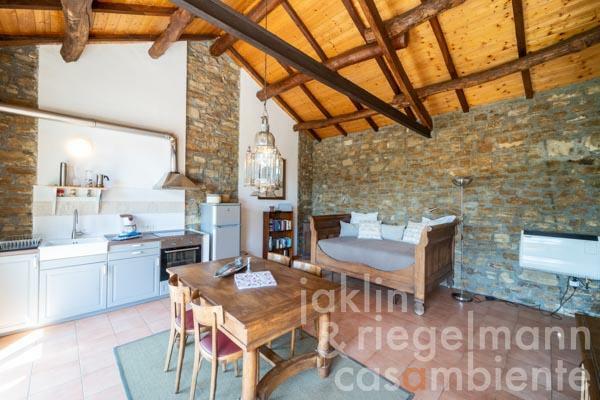 A cosy outbuilding of approx. 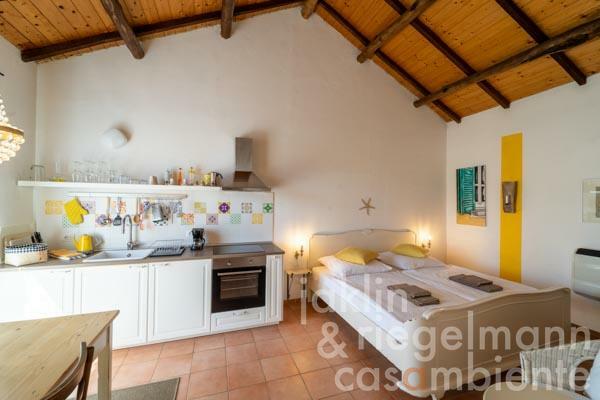 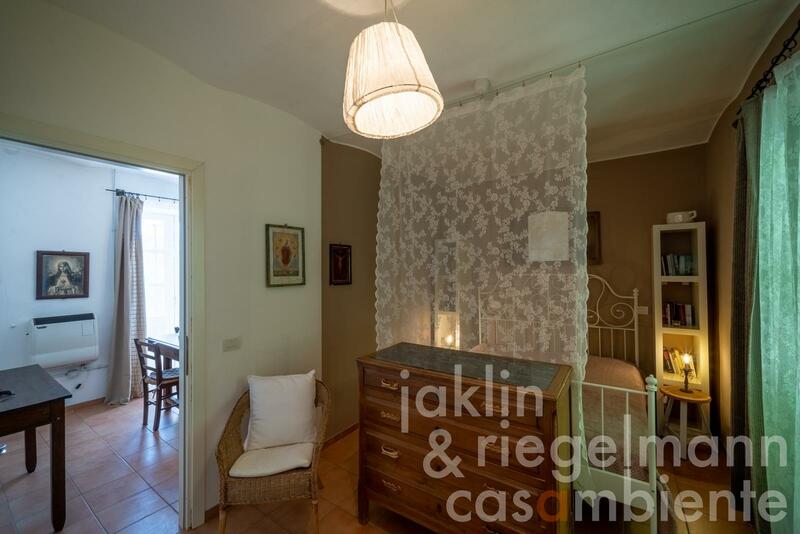 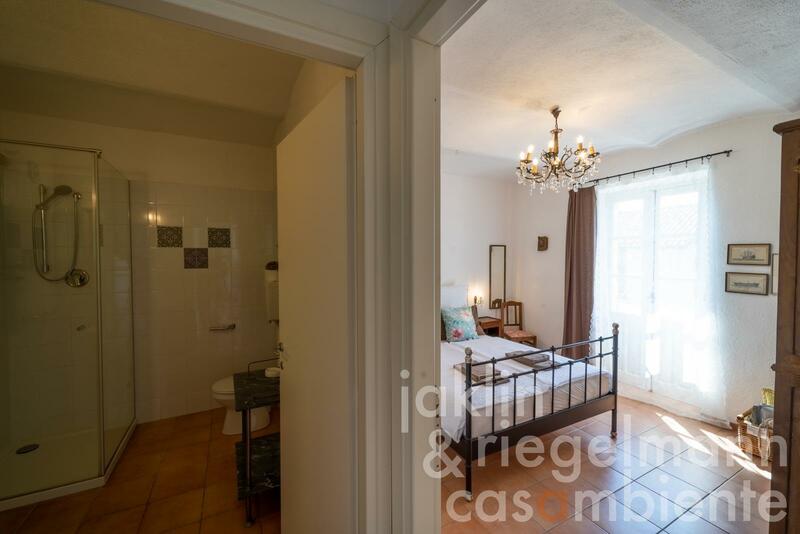 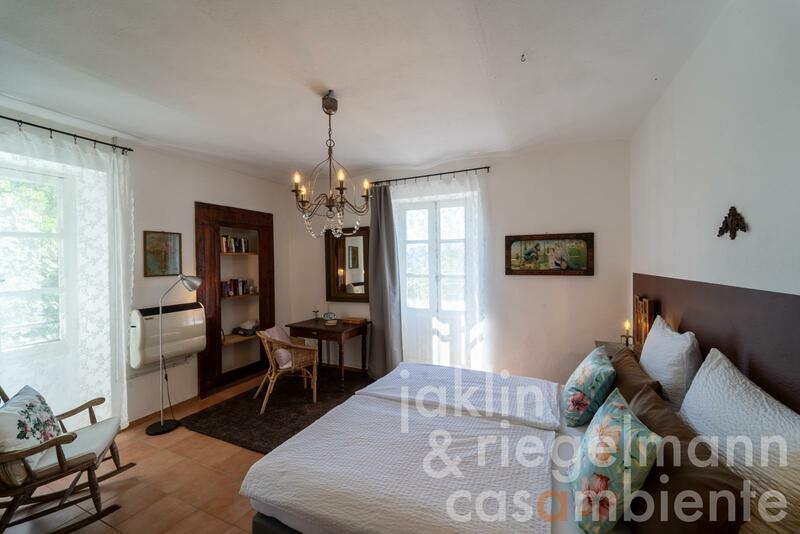 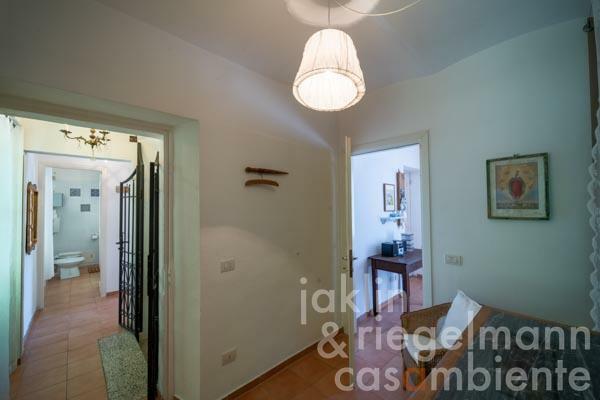 50 m² (for 2, 3 or 4 persons) with a palm tree in front of it is opposite the main house. 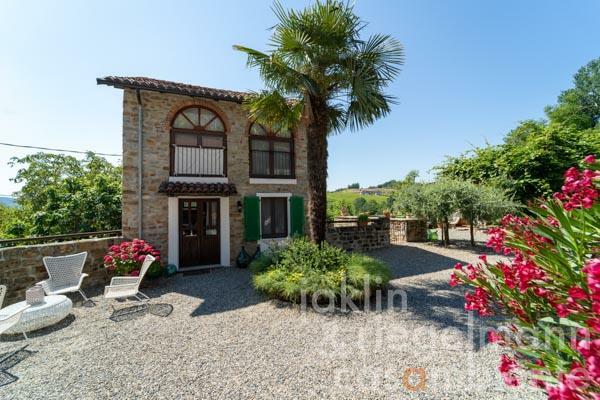 A further restored dwelling house is used by the owners as private house. A tower-like outbuilding can be converted into further living space. In a quiet zone a pool and a sunbathing lawn are available. 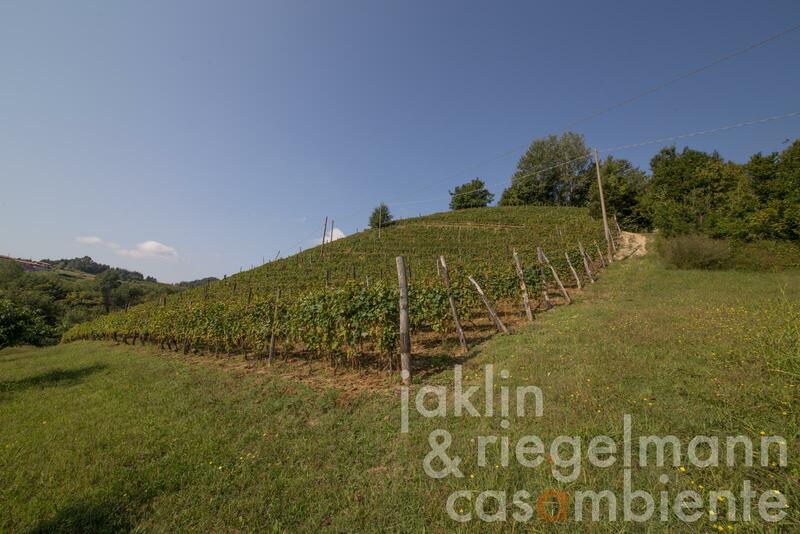 Italy, region Piedmont, province Asti, municipality Bubbio. 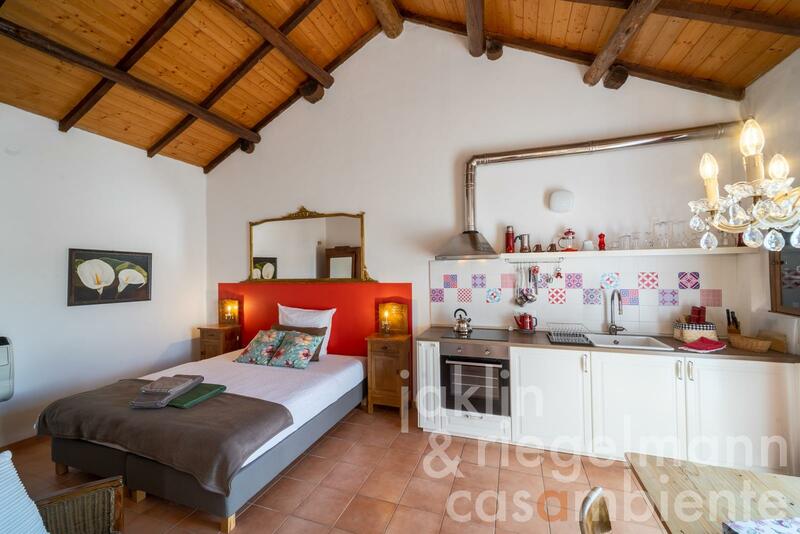 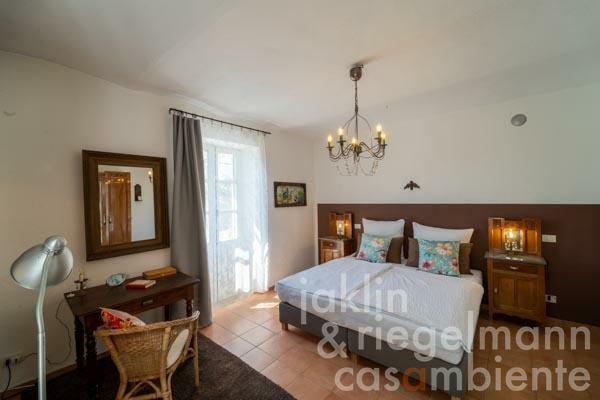 Electricity, mains water, own well water, central heating, fireplace, gas tank, telephone, broadband internet access, satellite-TV, irrigation system, swimming pool, balcony, private parking, terrace, vineyard, garden, furnished.